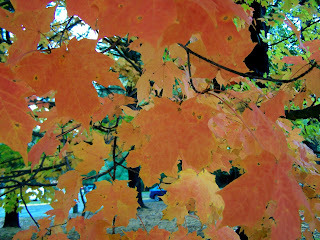 These photos were taken on October 18, Sunday. oh mya! kayni, such lovely colors! i love the colors of autumn! love! love ! love them! kg, i agree. i braved the cold temperatures just to take these photos...lol. The cold weather is totally worth it! You captured the beauty of autumn with those photos! Autumn is such a wonderful season. 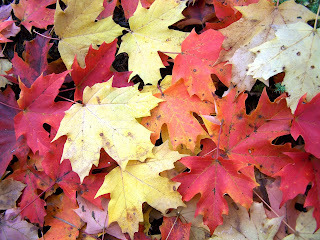 I love the colors of the maple leaves. I feel like lying on the ground and be covered with it! enjoy the rest of the week, Kayni! oooooh, new template! nice, nice! Srivats, Thank you for visiting =). memo to self: arrange a fall getaway in the east coast next year. 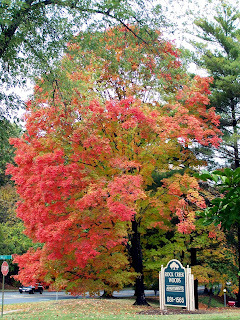 they say the difference betweeen the leaves in the east versus the west is more reds in the east and yellows and browns in the west. i like the reds!!! Photo Cache, The reds are really beautiful =). lovely colours, i was also out in the park today and was looking at it - thought I should have brought my camera ..there was even a bird with an orange breast beside the orange leaves-would have been a lovely shot! BEAUTIFUL! Which park is that? toni, bring your camera next time =). Lailaa, these photos were actually taken near my apartment. 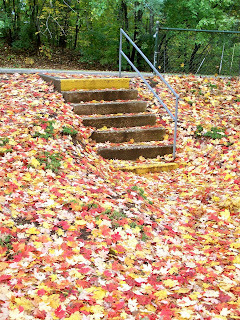 they're amazing.. i love the leaves on the ground. the pictures of those leaves in the ground give a dramatic effect. i wish there were trees like that here (i'm not so sure if we have it here). Hayyy, ang ganda! :) As I always say, you're such a lucky girl to have such beautiful sceneries around you. Feeling ko, OK na OK magbasa ng book habang nakahiga dyan sa awesome and lovely-colored autumn leaves! 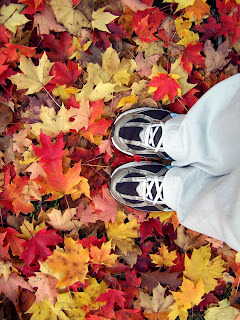 autumn is sooooo photogenic and romantic, love all the leaves with your shoes!